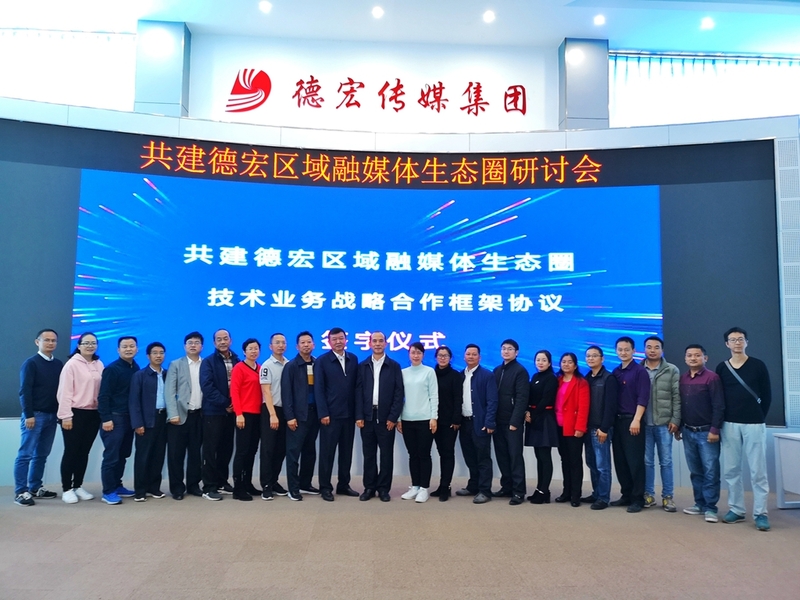 On November 30, Dehong Media Group held a symposium on the construction of Dehong regional convergence media ecosphere to promote the deep integration of media and the construction of media center in county and city, so as to better guide and serve the masses. On behalf of Dehong Media Group, deputy director of the state propaganda department, secretary of the Party committee of Dehong Media Group and president Han Qixiang signed strategic cooperation framework agreements with other counties and cities. 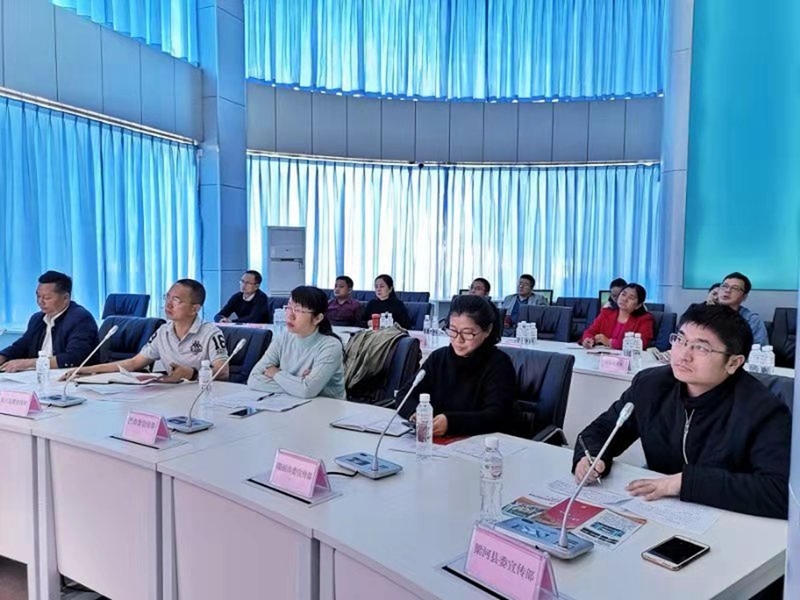 Han Qixiang said that it was an urgent requirement and desire for the development of the times to create a "regional convergence media ecosphere that integrates prefectures and counties". Therefore, we should establish the concept of "propaganda" and do a good job in integrating the development of public media resources in counties. We need to build and share the fruits of "Dehongyun" by integrating state and county media, so as to achieve the goal of platform sharing and resource sharing. Through the development style of "huddle together", we will promote the construction of convergence media in the county and realize "four breakthroughs" including system and mechanism, media thinking, internal and external propaganda and serve for the overall situation. The meeting emphasized that the construction of Dehong regional convergence media ecosphere is to expand the intelligent service capabilities of convergence media platform, so that the processing capabilities of the media platform can be improved, and the intelligent assistant capabilities can also be exported to the outside world to provide protection for the state's media intelligence. At the same time, we will work together with convergence media in county and city to cultivate a group of people with information technology and to meet the needs of talents in the era of convergence media. After the meeting, attendees visited the center of media technology and education in 771 station.